So after last weekends adventure to find window coverings, I found some and not at all what I was planning to find... Once I got out there, I broadened my horizons and came up with a whole new idea! How so, you ask? What was it, you wonder?? 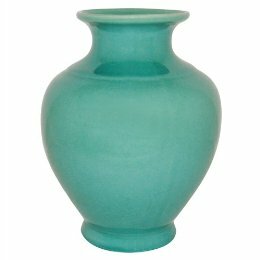 This little turquoise ceramic vase (2nd shelf up) from Target. 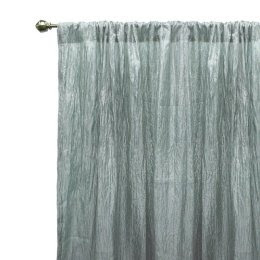 So I tried several kinds of curtains in that color family and even a couple greens to see the difference and options, we settled on a kind that was still airy and let light in, but that had a pretty color, like the vase.